This course is a practical skillset review for Home Energy Professionals (HEP). Seventy percent of the content of this course is based on the BPI Testing Knowledge List for the Building Analyst. The course includes a comprehensive review of building science, testing and data collection, and analysis. This course has 8 contact hours and qualifies as 8 continuing education units (CEU) toward Home Energy Professional Recertification. This is a lecture-lab course. Lecture topics are presented in the classroom setting followed by hands-on practice in the lab. 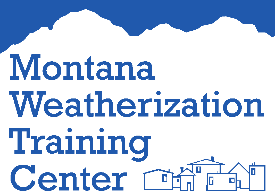 The class is appropriate for students who have had a basic introduction to weatherization training. Student participation in discussions in the classroom and in the lab exercises is very important. This course is graded as pass/fail. The course is evaluated on attendance and participation.